Rarely do I pause to share recommended reading, but a new feature in this month’s Independent Banker magazine is worth it. 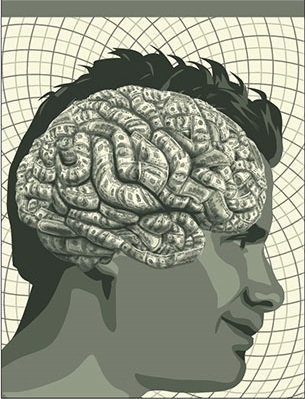 The “Psychology of Money” feature in the December issue is some of the finest journalism on banking and finance that I’ve come across in some time—and I’m proud to say it came from ICBA. The feature story from writer Kelly Pike probes how irrational emotions and biases drive our relationship with money, and how community banks can use that information to serve their customers and better their business. The story also examines various banking offerings and how customers react depending on what’s happening inside their mind. For instance, relationship bankers can be a lifeline of support to customers who are dealing with financial stress, family problems and even fraudulent schemes that feed on their emotions. Meanwhile, incentive offers can fall flat when customers believe they’re too good to be true. “Money can make people do strange things,” one Kentucky community banker says in the piece. That is certainly an understatement. The newest issue of Independent Banker is online and in the mail, so I encourage you to take a look when you have a spare moment. It’s always good to see community banking through different lenses to gain a new perspective. One thing is for sure: you’re not going to find this kind of content anywhere else. A hallmark of community banking is accountability. Community bankers are held accountable to their customers because they live and work in the same neighborhoods. As locally based institutions with a stake in the prosperity of their communities, community bankers simply can’t afford to take advantage of their customers. So Wells Fargo’s failure to take responsibility for fraudulently opening 2 million unwanted consumer bank accounts has been particularly disturbing for the community banking industry. Any bank? Suddenly this massive breach of trust isn’t about Wells Fargo, but the banking industry in its entirety? Absolutely Not! No! This isn’t about “any” bank or all banks. This isn’t about universal condemnations of wrongdoing. And this certainly isn’t about community banks, who remain, as always, accountable for their actions. What this whole sordid mess is about, however, is the massive negative consequences not just on American consumers, but the local banks that had nothing to do with it. Community bankers have seen time and time again how the consequences of megabank misdeeds rain down hardest not on the perpetrators, but on us! Again and again, Washington responds to the largest banks’ bad behavior by rolling out new regulations that fall disproportionately hard on the smallest banks. While we fight and scrap and claw for exemptions and carve-outs, the truth is that community banks always get roped in to new regulatory burdens that take our attention away from our customers and toward red tape. Meanwhile, the large banks that incited the response have the resources to hire teams of lawyers to manage their compliance. No, no, no—not again. We WILL NOT get dragged into this mess! Community banks are NOT Wells Fargo! ICBA is doing its utmost to ensure Washington and the American public make a clear distinction between community banks and systemically risky institutions. We take responsibility for exclusively representing community banks, not the megabanks that make our members’ lives more difficult. Therefore, we will be with you—the community banker—every step of the way, ensuring that your name is not tarnished by this scandal. Because #WeAreNotWells! As we’ve told Congress again and again, we need a system of tiered and proportional regulation based on size and risk, which will ensure appropriate standards on the largest banks while allowing local banks to continue serving their communities. In doing so, we can fix what’s wrong with our banking system by strengthening what’s right with it—community banks. Every now and then we have the chance to stand up for what’s right against powerful forces. As the legacy of a group of colonists who stared down and defeated the world’s greatest empire, it’s virtually our birthright as Americans. So in some ways ICBA’s federal lawsuit against the National Credit Union Administration for its unlawful lending rule feels like the extension of a longstanding national tradition. ICBA’s suit challenges the NCUA’s rule allowing tax-exempt credit unions to exceed commercial lending limits set by Congress. In a nutshell, federal law defines credit union “member business loans” to include any and all commercial loans on a credit union’s balance sheet. But the NCUA’s final rule unlawfully allows nonmember commercial loans and purchased loan participations to be excluded from the statutory limits. If this issue sounds familiar, that’s because credit unions have been trying to push it through Congress for more than a decade. But lawmakers have repeatedly declined to expand credit union lending loopholes. What is a tax-exempt industry to do? Well, if you’re the credit union industry, you simply wait for your captive federal regulator to rewrite the law for you. And that is precisely what the NCUA has done—unilaterally sidestep the legislative branch. You know, the branch of government those scrappy American provincials later enshrined in Article I of the U.S. Constitution. The only problem for the credit unions is that ICBA was watching. Indeed, we’ve seen more than enough. After years of evolving from a regulatory agency to a cheerleader for its tax-exempt industry, the NCUA has finally gone too far. 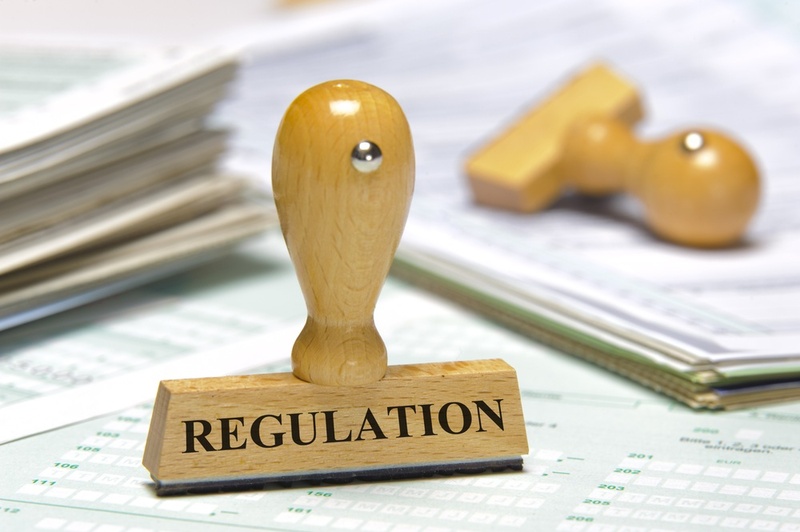 In attempting to serve as the regulatory rubber stamp for a handful of growth-oriented credit unions seeking to expand at all costs, the NCUA has overstepped its legal bounds. 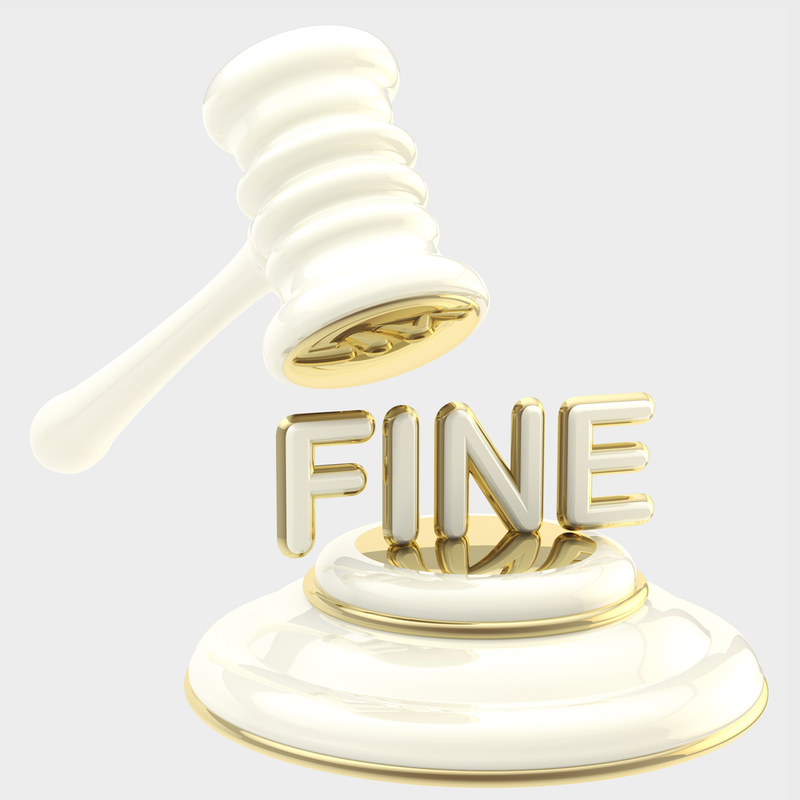 Not only is the NCUA rule unlawful, it’s also bad policy. The agency’s plan places undue risk on U.S. taxpayers, expands government-sponsored advantages for credit unions, and jeopardizes the safety and soundness of these institutions. Our tax dollars should not be used to promote reckless lending practices at these tax-exempt companies. So here we are—taking a stand. ICBA’s volunteer board of community bankers has elected to confront a heedless federal agency and hold it accountable. We might not be Washington, Jefferson and Adams, but the NCUA isn’t exactly the British Empire, either. So I encourage community bankers, our allies, and consumers everywhere to go to ICBA’s “Stop the CU Grab” website to learn more about the lawsuit and how to help through the ICBA Credit Union Litigation Fund. After all, we’re taking action not only because the law is on our side, but because it’s the right thing to do. Good leaders aren’t born, they’re forged. They are inspired, shaped and mentored. They are indebted to the individuals who have coached them through both obstacles and successes, and they are obliged to pay that debt forward to the next generation. During my more than 30 years in community banking, I’ve learned valuable lessons about preparation, perseverance and commitment from many leaders of this beloved industry. I have worked to repay that debt by fighting for the future of community banking through ICBA. And I highly encourage community bank executives across our nation to support the next generation by sending their future leaders to this year’s LEAD FWD Summit. This collaborative forum, set for Sept. 11-14 in Denver, offers numerous opportunities for tomorrow’s leaders to interact with industry veterans and gain insights on how to achieve long-term success. The interactive sessions and speakers were selected to inspire promising leaders to realize their potential and return to your bank with renewed drive and actionable strategies to meet the needs of customers for years to come. 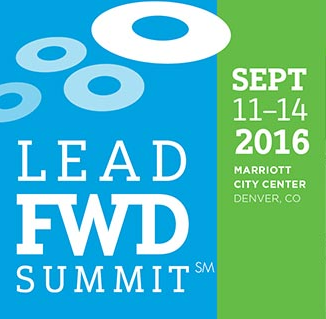 I’ll be there at the LEAD FWD Summit to offer my account of what it takes to thrive in today’s competitive market. And I hope community banks from coast to coast will be represented as well. At this year’s convention, ICBA Chairman Rebeca Romero Rainey spoke of the wisdom, strength and determination she gained from community bankers who came before her—those who thought big and weren’t afraid to take risks. Rebeca challenged all of us to think about our role as a mentor and what we can do to empower the next generation of community bank leaders. So I ask community bankers: what will you do to support tomorrow’s leaders and carry our industry forward? Providing the opportunity for them to learn from successful innovators and trailblazers is a great place to start.